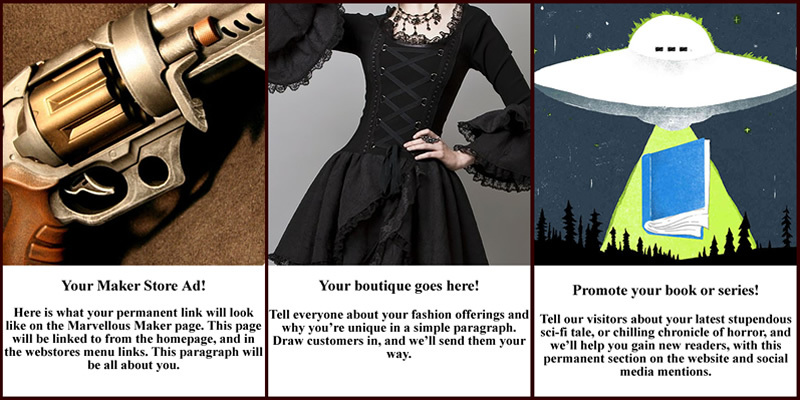 We’ve just opened our new advertising network detailed below, and we want to help some sci-fi and horror themed, Awesome Authors, Marvellous Makers, and Fabulous Fashionistas, build a wider audience, and reach more interested customers. For a very low cost we’re offering 12 months worth of a different kind of advertising, getting your message, be it a book launch or other creative product, to our followers across numerous social media platforms. We only have 100 spaces available in each category so jump in now to be sure to grab a spot. We have people engaging with us on Google+, Facebook, Twitter, Tumblr, and Pinterest, over 2 million page views of our content in the last 12 months on social, and 1000 regular monthly visitors, and growing, to www.theastonishingadventures.com which we recently revamped as well. That audience is only going to get bigger as we have begun releasing our short story series, the first of many content offerings, on ebook platforms and elsewhere. This is part of an initial five year plan of content, so we’ll be around for a while. The benefit of all of this to you as an advertiser, is that our audience is organically grown. Many websites offering tailored advertising state they’ll send a tweet to their 100,000 followers, or post it on a FB page with 1000s of likes. In reality those platforms can be falsely inflated and followers bought, rather than reaching an audience who are interested in what you might be trying to showcase, your message is a drop in an ocean of disconnected people rather than potential customers. If you make Steampunk/Sci-Fi/Cosplay/Gothic fashion items, our followers who will see your message, are interested in those very same things, and we might just help you get a sale. – Facebook – The Astonishing Adventures Page, and where appropriate across the 20+ relevantly themed FB communities we participate in. 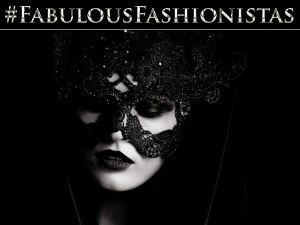 – Pinterest – Astonishing Pins, on appropriate boards, and new boards dedicated to ‘Marvellous Makers’, ‘Fabulous Fashionistas’, and ‘Awesome Authors’. Also on other boards we participate in as appropriate. All of this is added SEO for you and your products. Authors will also benefit from posts on Astonishing Adventures creator Nick Moore’s Google+ profile (39,000 followers), and shared to appropriate communities he participates in, and also his Pinterest ‘dimensionofmind’, and Twitter ‘dimensionofmind’ profiles. With the #awesomeauthors and other relevant hashtags. 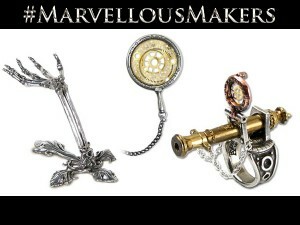 All makers of books, fashions, cosplay, jewellery, and props, will get a listing on our upcoming Marvellous Makers, Fabulous Fashionistas, and Awesome Authors pages, which will carry their own banner links on the Astonishing Adventures homepage. On each page you will have your logo, or image of choice placed along with a paragraph of ‘About us’ information. The image will be linked to your website, or web presence of choice, which will open in a new browser tab when clicked. A basic example of the format of your Ad is embedded below,and the Awesome Authors page is live now with our first authors in residence. 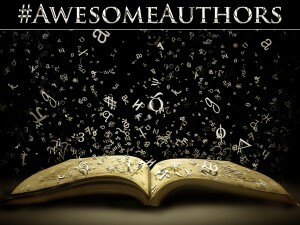 Along with the permanent placement above, we will tweet a link to your web presence at least once every Monday for the hashtag #marvellousmakers / Tuesday for#fabulousfashionistas / and Wednesday for #awesomeauthors with other appropriate hashtags, and irregularly as part of the ongoing promotion of our content. This ongoing promotion will also see your links promoted on the other social platforms at appropriate times. This promotion continues throughout the 12 months you are featured on The Astonishing Adventures. We’ve costed this service looking at other providers, offering 1 tweet per day for only 30 days for $14, and feel we are offering fellow creators a unique and worthwhile service. We only have 100 spots available to be taken for each category, to ensure everyone can be easily showcased, once they’re filled that’ll be it for the 12 month AD timeslot. If you’re a sci-fi or horror author, or a maker in those general fun fields of interest, simply fill in your details on the purchase form on the Specialist Advertising Page and hit the buy now. We will contact you within 48hrs with a questionnaire regarding what content you would like to showcase, and an email address to get in touch with us. We look forward to working to promote your endeavours.